Paint refinishing is the process that can make the biggest improvement to your car’s appearance, but getting it right can be a lengthy process. 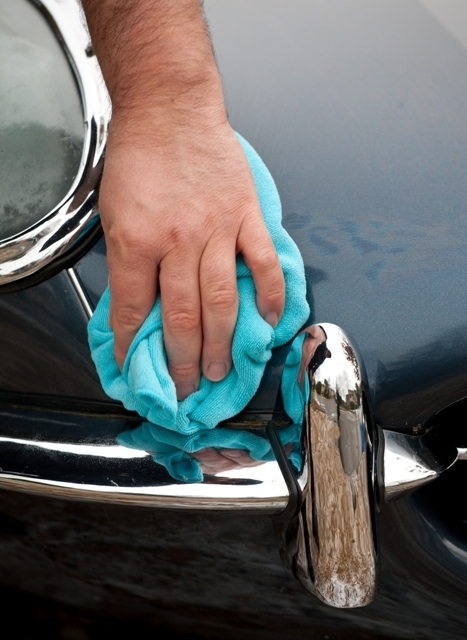 Much will depend on the damage it’s been subjected to and the condition your paintwork is in. You could face sanding marks left after re-spray or repair, swirl marks, cobwebbing and fine scratches left by washing, a few deeper scratches, stone chips, bird dropping marks and insect staining. One of the key differences of a detail over a valet is the way paint is corrected. The only way to get a showroom-style finish is to polish the paint. Traditional ‘all-in-one’ liquid polishes that you wipe on, leaving a haze, and buff off, only create the illusion of improved paint as they contain fillers which hide small scratches and swirls. But these are a temporary fix that disappears after a couple of washes. Achieving paintwork with crisp, pin-sharp reflections comes from having a smooth, level, defect-free surface. Consider the reflections you get on a stormy sea compared to those on a flat calm lake! The only way to realize this is to remove damaged paint permanently by abrading the surface with an abrasive polish. The last 10 years have brought about impressive advances in polishes and compounds. No longer the reserve of professional bodyshops, they are also being used by detailers and enthusiasts alike to create amazing finishes. The main improvement is that good compounds now contain diminishing micro granules (abrasives). When these polishes are worked by hand or with a polishing machine the granules rub against each other, gradually getting finer and finer, permanently removing scratches and swirls to leave perfectly smooth paint. Scholl Concepts has been producing paint finishing systems for the automotive industry for over 40 years. Its high performance compounds are available to enthusiasts and range from fine (S40) to extra heavy (S02) cut. The heavier the compound, the more aggressive their performance, so making the correct selection is vital. Polishing speed, pressure and the type of pad you use also affect the cut and finish that result.